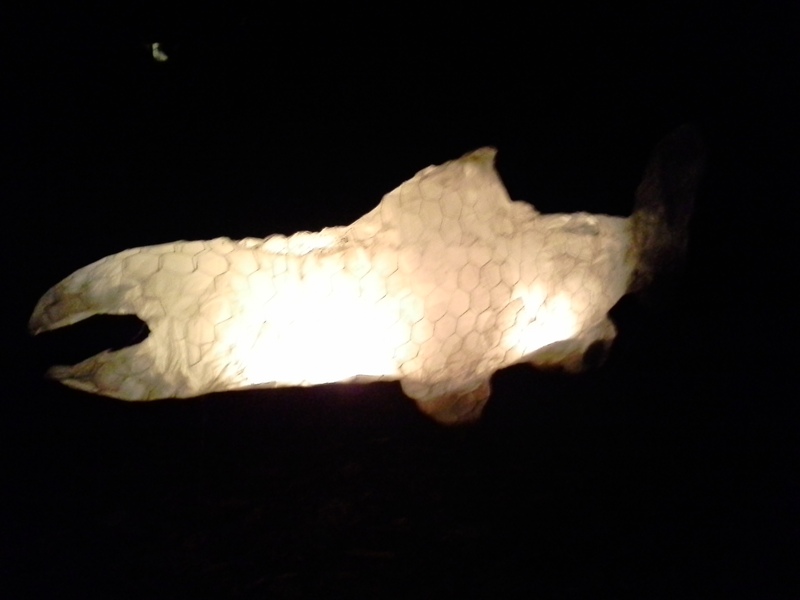 Many thanks to everyone who made Saturday evening’s A River of Light so spectacular, from the dozens of people who made the lanterns this summer, to the volunteers who set up and took down the installation to the nearly 100 people who came to wander through the trees and exclaim over how beautiful and magical the lanterns looked in candlelight. 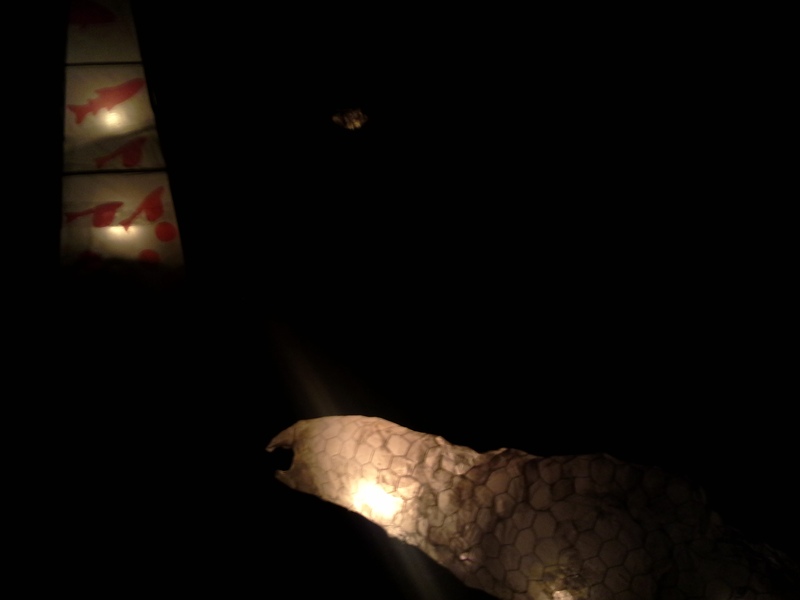 We will be lighting the lanterns again next Friday (Sept 30) and Saturday (Oct 1) from 6 – 9 pm. On Saturday afternoon from 2 – 4 pm, all are invited to drop by the studio to make a glass jar lantern to light your path as you take in the lanterns in the evening. The salmon have entered the forest! 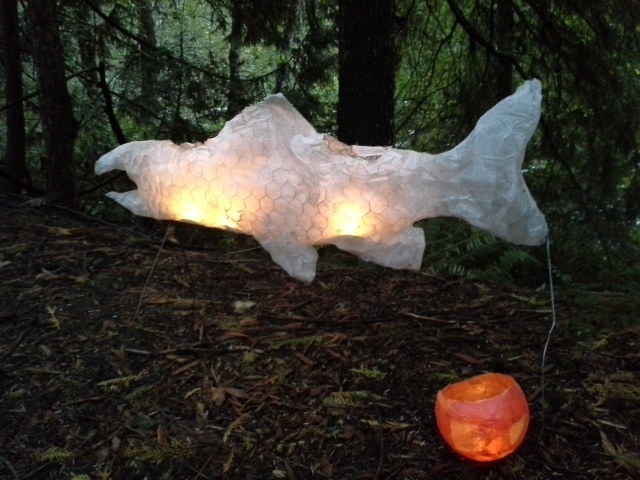 Last night and this evening from 6 – 9 pm, the salmon lanterns are swimming upstream in the woods alongside the Alouette River in Cross’ Cabins Park. The installation is part of Culture Days and is a celebration of Rivers Day, both happening this weekend. 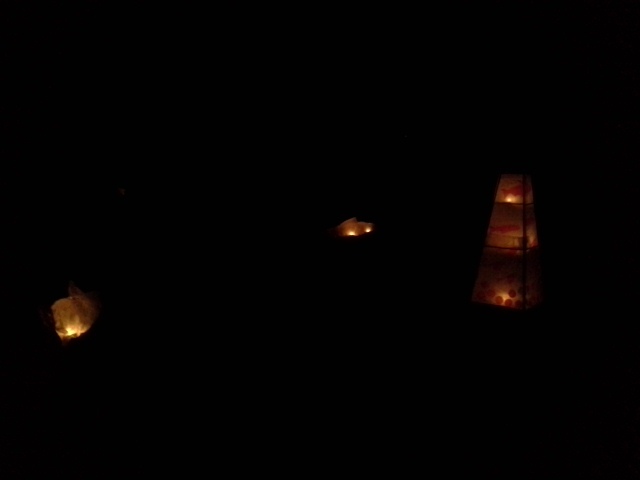 Here are a few photos of the lanterns. This afternoon (Sat Sept 26) between 1 – 4 pm, drop by the studio to make your own lantern to carry through the installation this evening. 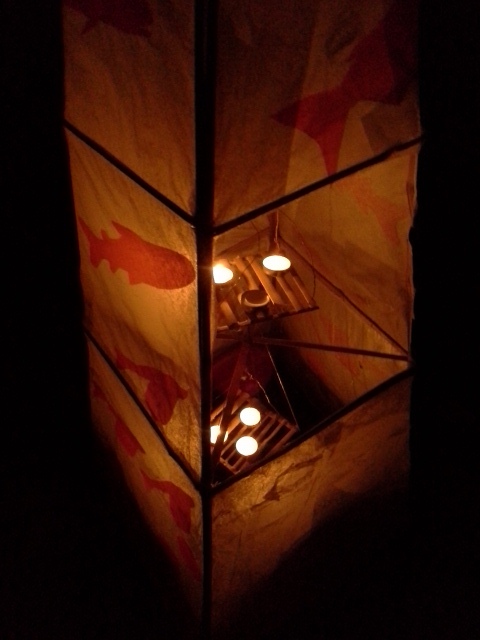 We’ll be making the lanterns out of glass jars and tissue paper. You need about 15 or 20 minutes to make yours. All ages welcome. The studio is at 23740 Fern Crescent in Maple Ridge. 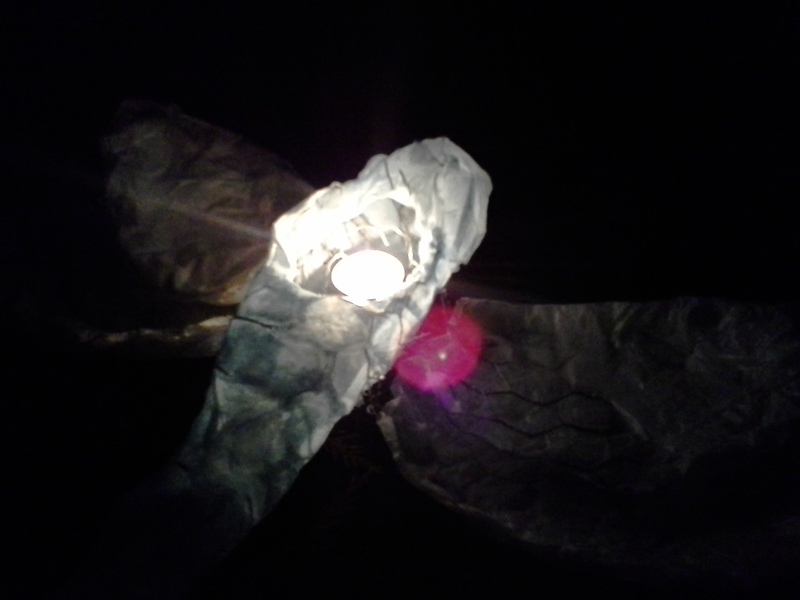 On Sunday, you’re invited to bring your lantern (not required) down to the Haney Warf from 6 – 8 pm for an evening of storytelling, songs and the WaterBody performance, all celebrating water. Looking forward to making more magic today!